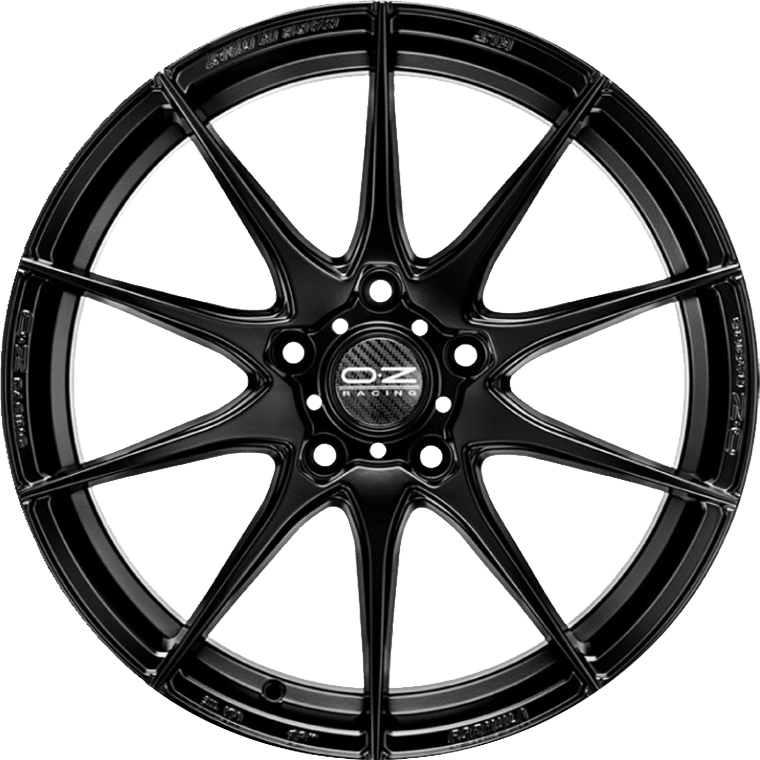 OZ Racing Formula HLT has a 10 spoke, HLT (High Light Tecnology) design with an under cut, side cut and concave style. OZ Racing Formula HLT has a 10 spoke, HLT (High Light Tecnology) design with an under cut, side cut and concave style. OZ’s experience in Formula 1 is fully exploited in the Formula HLT wheel, a wheel in the I-TECH range, inspired by the wheels on the Ferrari F2012 Formula 1 car brings the taste of the central lock racing system to everyday road vehicles. The Formula HLT comes in standard central lock cap version, with 4 and 5 bolt carbon centre cap; with 17”, 18”, 19”, 20” rim diameters available. Grigio Corsa, Matt Black and Race Gold (only for Subaru applications) finishing.